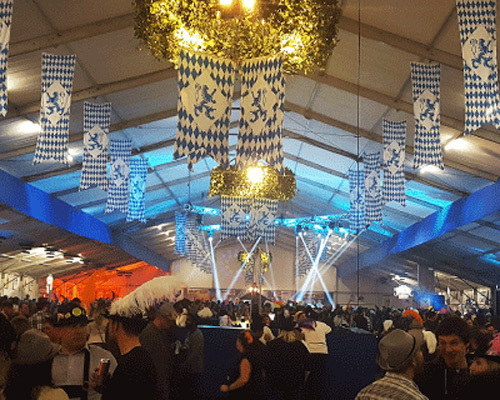 Join in the Oktoberfest fun at Bingemans Kool Haus and Paulaner Haus! Enjoy a blend of authentic Bavarian experiences and local culture with lots of Oktoberfest food, beer, a schnapps bar and more! Before you start festing, fill your belly with the Ultimate Bavarian Feast, a celebration of traditional Oktoberfest food, such as authentic German schnitzel, Oktoberfest sausage, sauerkraut, spaetzle, and who could forget – craft beer! There’s lots to see and do at the Bingemans for Oktoberfest. No dirndl or lederhosen required!